You do not have too high cholesterol? So you do not have to avoid eating eggs. You can enjoy their taste, because they are really healthy – especially those cooked softly. Why is it worth eating eggs everyday? We overthrow the myths. Nutritional values of eggs are appreciated by dietitians, and the taste values make them one of the basic products we have in the fridge. 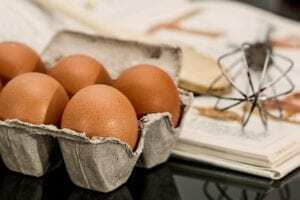 Why is it so healthy to eat eggs? Below is a whole and a long list of reasons. 1. It is a source of lecithin (which has a wonderful effect on brain function) and polyunsaturated fatty acids. 2. Provides vitamins: A, D, E, K, also abounds in vitamins from group B. 3. It supplies the body with precious minerals, such as zinc, phosphorus, potassium, selenium, calcium and iron. 4. Contains lutein that has a good effect on the eyes, protects them from UVA and UVB rays and fights free radicals. 5. Yolk also contains xanthophyll, which prevents cardiovascular disease. 6. Is a source of wholesome protein – eating eggs is recommended for vegetarians and people on a slimming diet. 7. A healthy person can eat one egg a day and does not have to worry about too high cholesterol. 8. The calorific value of an egg depends on its size. On average, an egg has about 80-90 calories. 9. The nutritional value of a soft boiled egg is best absorbed. Until recently, everyone without food was recommended to eat no more than 2-3 eggs a week. 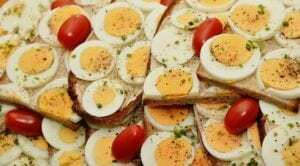 Now even the doctors admit that a healthy person can eat an egg every day, and the World Health Organization is of the opinion that 10 eggs a week will not hurt. This is good news for people who like to eat eggs, but in this case, it is good to keep common sense, the more that you need to include eggs from baked goods, pastas, etc. Anyway, that’s probably great news, right?